The best selling sci-fi fantasy series. Enter your cat. Win the contest. Save the universe. Five-year-old Jamie Anderson has something to prove. He knows his cat, Jelly, is one in a million and has what it takes to win. 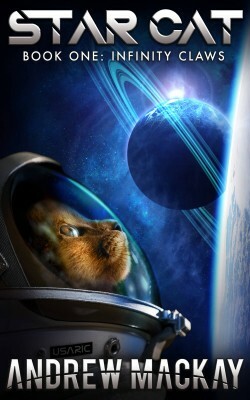 In 2117, the search is on for the first feline in space. Welcome to the Star Cat Project. Millions of cats across the globe will compete to be the first. They will demonstrate their agility, prowess, obedience and combat skills. The winner will join USARIC’s Space Opera Beta team of mercenaries and scientists on a mission to Saturn to decode a distress call and rescue their sister ship. An adventure beyond the stars – and beyond your wildest imagination. Discover an exciting new genre that’s puurfect for teens and adults alike.